The R&S®TMU9 transmitter family offers unique flexibility by providing more than 50 different standard configurations. Featuring efficiency of up to 38 % for COFDM and up to 42 % for ATSC, it achieves the highest energy savings on the market Plus, the simple system configuration allows quick startup. 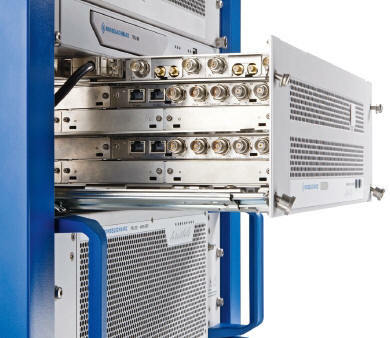 The high availability of the R&S®TMU9 ensures unsurpassed reliable operation. And its compact size saves space at the transmitter site.